Located in the heart of Milan, M Collective is an innovative store offering a unique and interactive shopping experience based on your mood. A multi-brand retail space, split into three different areas: Minus, Much and More, dedicated to garments with a definite futuristic appeal. Nine artists were asked to create an original concept to represent these areas. Here’s my digital illustration for the Much area, dedicated to basic-chic apparel embellished by hand-made details. I aimed for a pop, colorful flavour rich in details and rather technically processed. 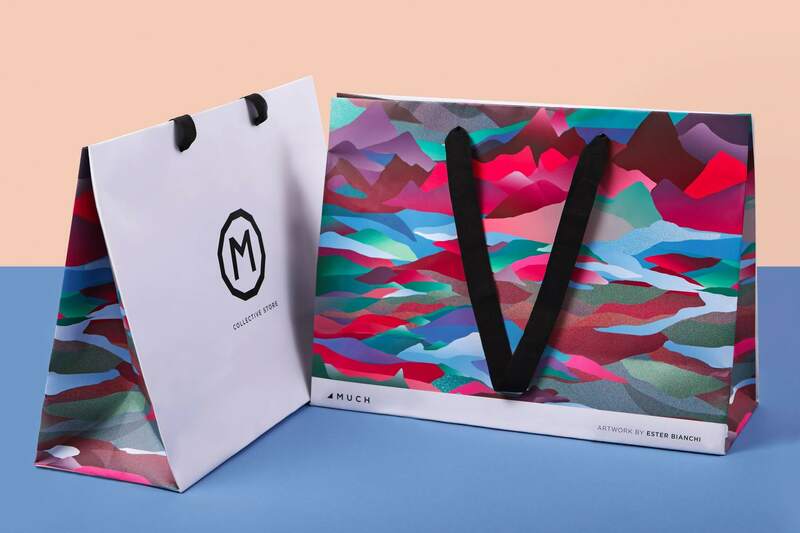 The prints constituted the Much area brand identity and were used to informational materials, shopping bags, tag and, official website and social media.